This is the first time that we’ve actually seen the production-ready RS6 as the last model was little more than a mule with some extra camo. And, while it’s pretty typical for changes between S and RS models to be minimal, we can already spot some major differences. First off, the front fascia will be much sportier and will feature larger air intakes. Around back, the rear fascia will be a bit more aggressive thanks to the addition of a nice little diffuser. The other important thing to note here, body-wise, are the larger fender flares in place to accommodate the wider tires. Larger brakes can be seen through the wheels, but what you can’t see is the 650-horsepower V-8 stashed under the hood. This is the same engine found in the Audi RS7 and the Bentley Continental GT and, as rumor has it, a 700-horsepower hybrid RS6 could be on the docket as well. 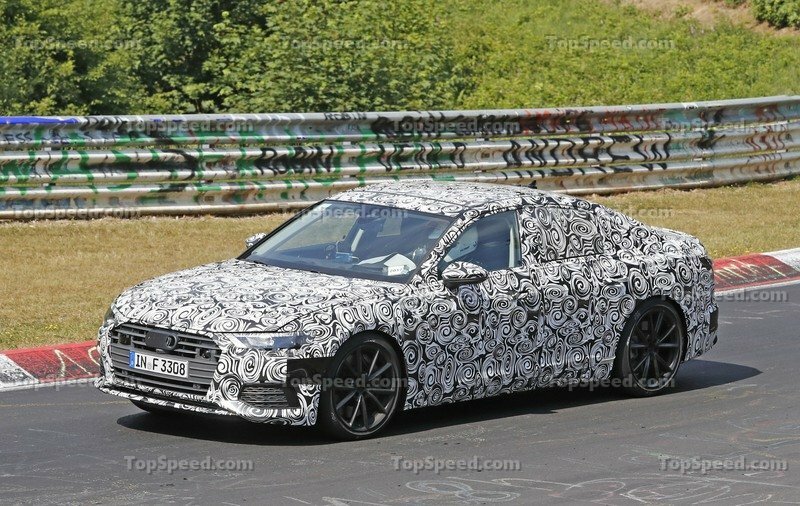 Expect to see the 2020 Audi RS6 debut at the 2019 Frankfurt Auto Show in September. The Audi RS6 test mule leaves little to the imagination because it’s barely covered by the swirly wraps. That’s a great thing, actually, because the sporty wagon looks great. The front end already looks more aggressive, and that’s even before you take into account how the lower section of the front fascia is still covered up. It doesn’t do that well of a job, though, because we can already see the two large air vents on opposite sides of the front. The fenders also look wider, which is another dead giveaway that this is the RS6 right here. 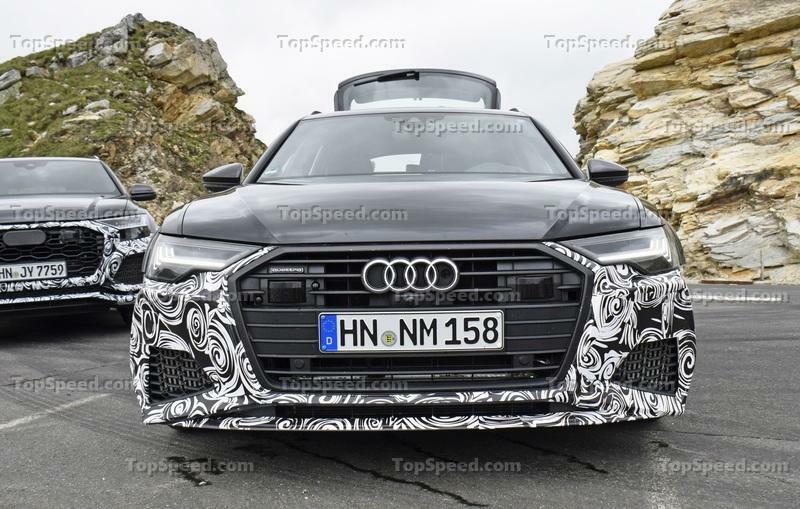 The headlight and grille combo stick to Audi’s current design language, though the latter also looks larger-than-usual, almost as if it’s trying to swallow up the whole space in the front. 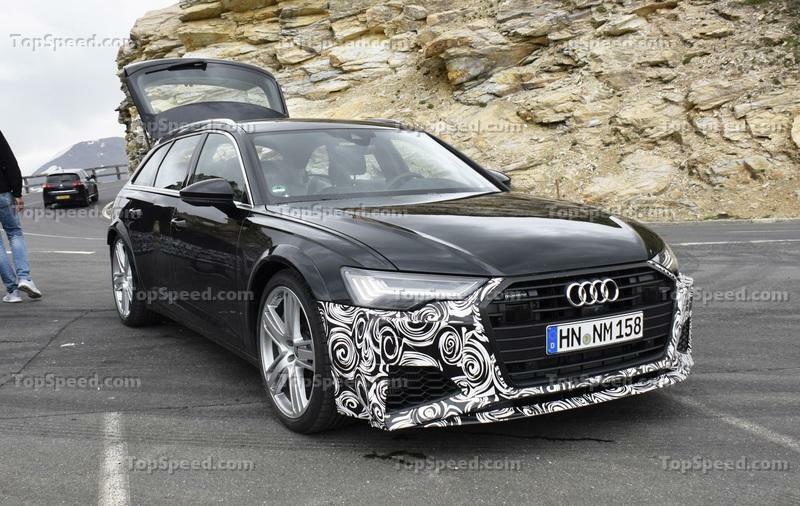 A style like this won’t work on the A6 or even the A6 Allroad, but on the RS6 Avant where stylistic aggression is a priority? It suits the sporty wagon very well. Other exterior elements worth nothing can be found in the rear, where there’s no trace of camouflage. The taillights are bigger, and they get a horizontal chrome bar that connects them. The oval exhaust pipes are of the most enduring signature components of Audi Sport, so it’s no surprise that we see them on the RS6 Avant. Everything else seems to fall into place as far as our design expectations for this model. 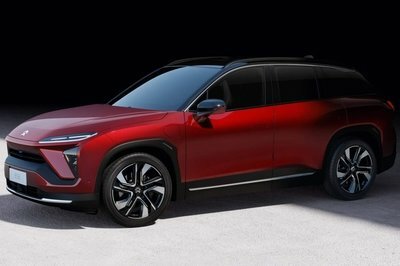 It will be interesting to note, though, how different the production bumper and fenders are going to look. There’s a reason why it’s the only area of the car that’s still hidden underneath the camo wraps. 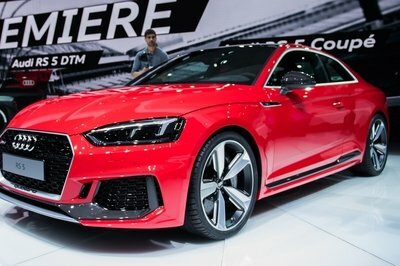 Maybe Audi is still trying to work out the aero kinks of the component, but once the production model is complete, I expect the RS6 to get proper bumpers and fenders that will enhance its sporty demeanor. 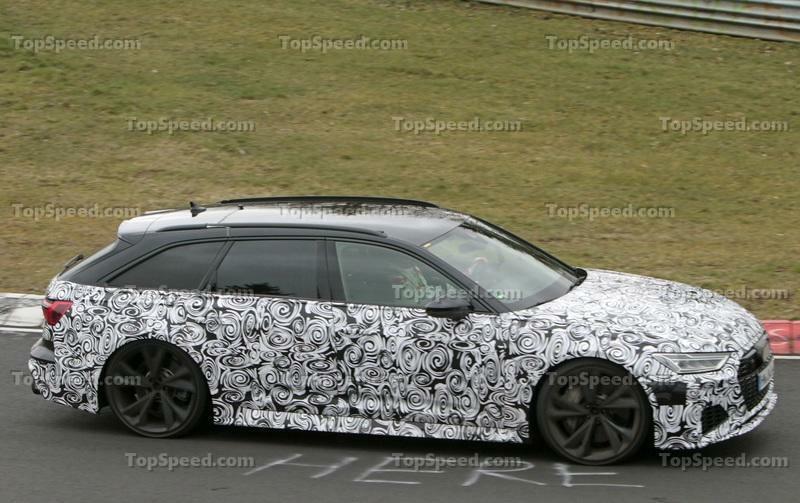 We don’t get to see the interior of the new Audi RS6 from these spy photos, but I wouldn’t be surprised if Audi doesn’t veer too far away from the current design. The premium seats should still be there. I even expect plenty of the same Alcantara and carbon fiber bits to be in the same areas, the latter of which we know is found on the dashboard and center console. Even the usual array of buttons and knobs should still be where they are. If that’s the case, expect the central tunnel to be extremely busy. In addition to the gear shifter, we know that Audi places a lot of RS6 Avant’s functions in that area, including the controls for the digital display unit that sits above the dashboard. Speaking of the display unit, that’s what I think is going to change with the new model. Most of Audi’s new models come with bigger display units, so I think that new RS6 Avant is getting in on that action, too. Then there’s the instrument cluster. The current RS6 Avant still uses the old analog display, but I expect the new model to carry Audi’s new Virtual Cockpit. 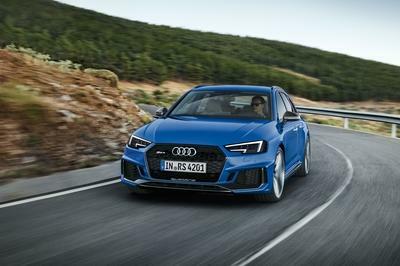 It wouldn’t seem right for new Audis to feature the technology and have it left off on arguably one of its sportiest and most performance-ready models. If you’re looking for space, the RS6 Avant should have enough to fit as many as five adults with some space left for cargo. That’s one of the good things about being a performance wagon. You’re going to get enough of everything, so the interior doesn’t feel too cramped in space. The new Audi RS6 Avant is getting a new engine. That appears to be a certainty at this point. That engine, a twin-turbo V-8, is said to have power approaching 650 horsepower, putting it firmly into supercar territory. It’s worth noting, too, that the RS6 Avant will share its engine and transmission with the Audi RS7. 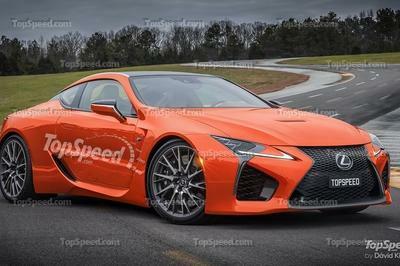 As titillating as it sounds to have 650 horses sitting under that hood, a more powerful version could also be in the works, one that’s going to feature a hybrid setup that’s similar to the one being used by the Porsche Panamera Turbo S E-Hybrid. 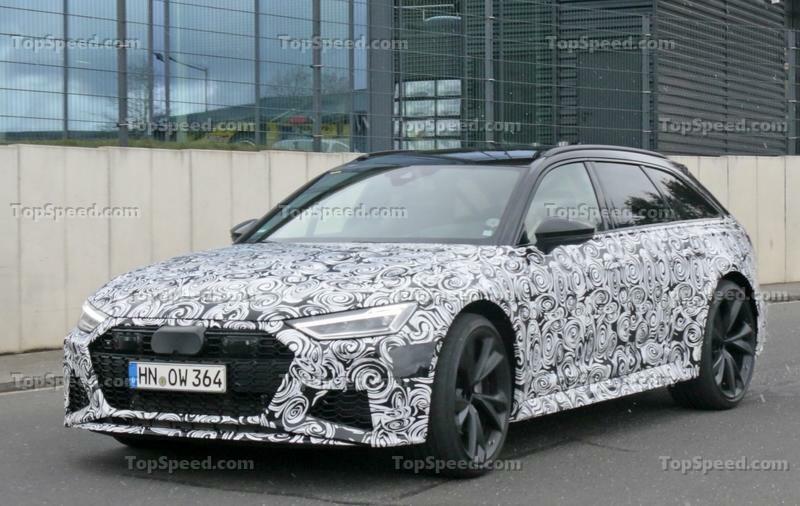 If that ends up being the case, we could be looking at a specific hybrid model of the RS6 Avant that’s going to have as much as 700 horsepower at its disposal. There’s a reason a lot of people look at the Audi RS6 as a supercar hiding in wagon’s clothing. If it gets the amount of power we expect it will, then that narrative’s going to live on for some time. The Audi RS6 Avant’s all-world offerings don’t come cheap. That’s been established since the current model’s price starts at around $93,000. If the new RS6 Avant is getting all these mechanical changes, expect that price to go north with it. Putting an estimate is a little tricky, but the base price of the new RS6 Avant should approach $100,000. Fortunately for the cash-strapped, the RS6 Avant isn’t expected to arrive until the second half of 2019. That should give all of you enough time to save up and get ready for its arrival. 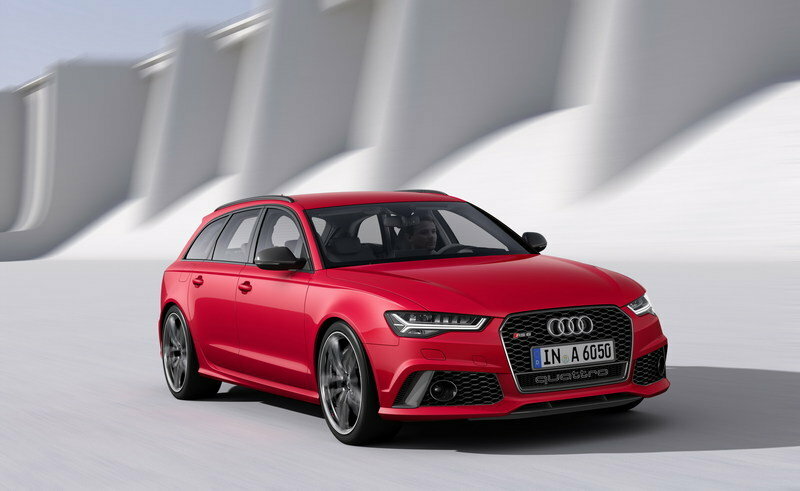 For the longest time, the Audi RS6 Avant had one distinct advantage over its two biggest rivals, the BMW M5 and the Mercedes-AMG E 63 S. It was the only model of the three that came with all-wheel drive. That has changed, though, because both BMW and Mercedes-AMG have outfitted their respective super sedans with all-wheel drive systems. The M5, in particular, also comes in next-gen form, so you’re looking at a model that’s packing the latest in BMW tech and performance capabilities. The latter comes in the form of a 4.4-liter twin-turbocharged V-8 unit that produces 600 horsepower and 553 pound-feet of torque. That puts it on pace to sprint from 0 to 62 mph in 3.4 seconds before peaking at a limited top speed of 155 mph. Opt for the M Driver’s package, and that top speed rises to 189 mph. 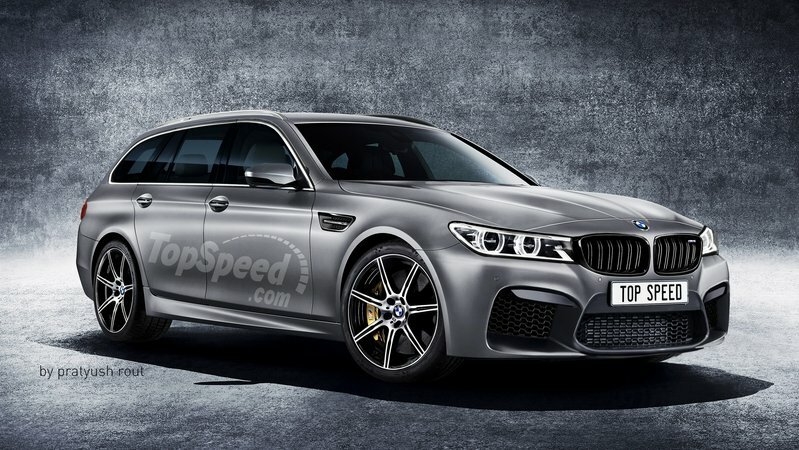 Read our full speculative review on the 2019 BMW M5 Touring. If you’re looking for the most direct threat to the Audi RS6 Avant, look no further than the wagon version of the Mercedes-AMG E 63 S. Revealed in 2017, the E 63 S Wagon can give the RS6 Avant a serious run for its money. It’s probably better suited for offering luxury and tech goodies to its customers, but Audi isn’t that far behind in that department. 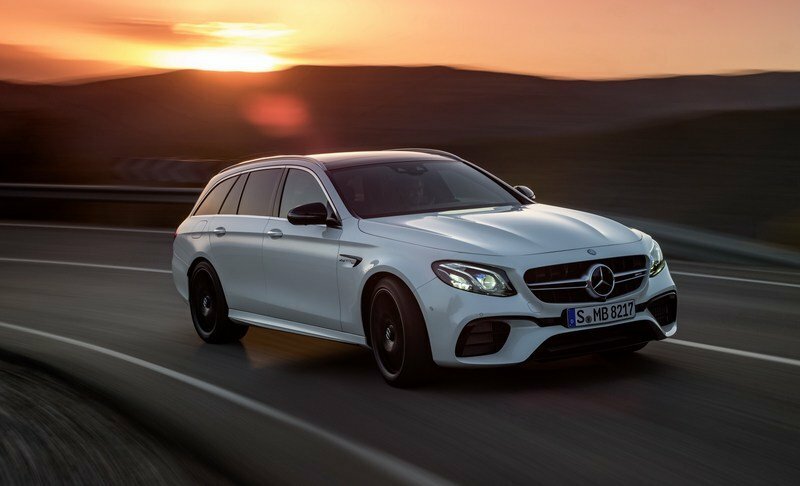 For now, though, the AMG E 63 S Wagon can afford to puff its chest on account of it being a “newer” model than the incumbent RS6 Avant and the fact that it has a 4.0-liter, twin-turb,o V-8 that has 603 horsepower on tap. It returns the same acceleration time as the M5 — 3.4 seconds — but it also benefits from an improved performance suspension system that helps keep its overall handling together. All that could change, though, once the next-generation Audi RS6 Avant arrives. When we talk about giant-killers in the auto industry, models like the Audi RS6 Avant are the first cars that come to mind. They may look like grocery haulers on the outside, but their potency is without question. The RS6 Avant has proven time and again that it’s a car you don’t want to mess with. As the next-generation model approaches, it’s hard to imagine that reputation waning anytime soon. There are only a handful of cars that have made me weak in the knees. 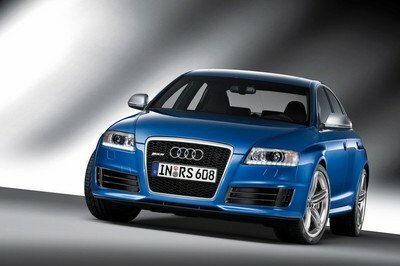 The Audi RS6 Avant is one of them. So yeah, I’m excited like everyone else to see the next-gen model arrive. 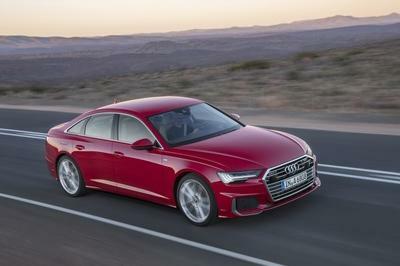 Read our full speculative review on the 2019 Audi S6. 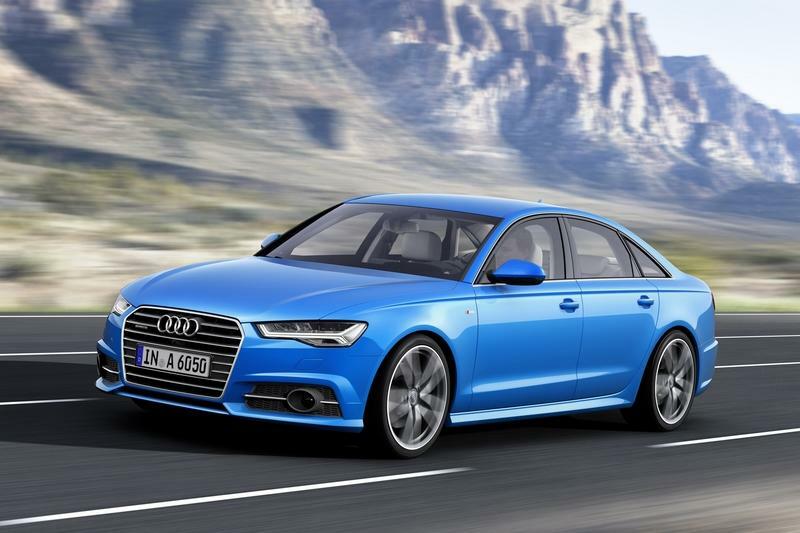 Read our full review on the 2015 Audi RS 6 Avant .